Gone are the days where the usefulness of GPS devices is limited to getting turn-by-turn directions between any two points. These days, they're used for just about everything. Fleet managers, for example, use GPS technology to gain better insight into the habits of their drivers. Shipping companies use it to make sure that you always know where your package is on its way to your home. The list goes on and on. But one of the most important ways that GPS technology is regularly being used has to do with what, for many people, is the most essential factor of all: our families. A family GPS tracker can be a great investment that can assist with keeping track of everything from your pets to your children to even senior citizens. But if you're going to go out and buy one of these devices for yourself, there are a few things you'll want to keep in mind. The first thing you'll want to do as you look for a personal GPS tracker involves figuring out why this is such an important purchase for you in the first place. What, specifically, are you going to use it for? The type of family GPS tracker that you'll need to monitor the habits of a teenage driver is very different from the one you would use to care for an older adult, so you'll want to decide on this use first so that you can narrow your expectations moving forward. Perhaps the most essential feature that you'll want to look for comes by way of an active Internet connection. Certain GPS trackers collect data while they're powered on, but to actually view that data, you need to connect the device to your computer. This is fine in certain situations, but it may not be what you're looking for. If you're planning on buying a family GPS tracker to monitor a pet or small child, for example, you would naturally need something that gives you real-time location information because if they fall into a dangerous situation, every second counts. 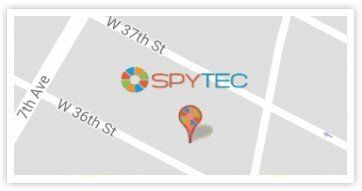 With an active Internet connection, on the other hand, you'll always be able to pull up the exact location of the tracker — and the person using it — from a computer or another device via a Web browser. Likewise, you'll also want to pay close attention to the battery life of the unit you choose to buy. Generally speaking, a family GPS tracker is a lot like your cell phone - it will periodically need to be recharged. To make sure that you don't have to do this more often than you'd like, look at the technical specifications of the unit you're thinking of buying and see what the maximum battery life is under normal conditions. Again, choose a version that falls in line with your expectations and what you're planning on actually using it for.